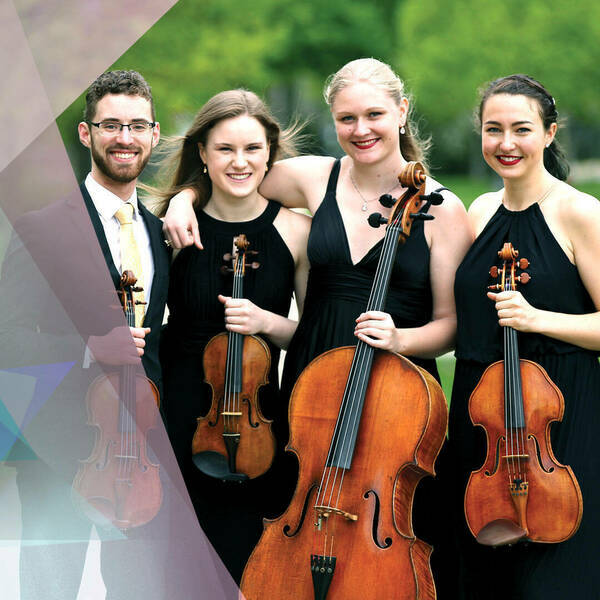 Callisto Quartet took the Grand Prize and the Senior String Division Gold Medal at the 45th Annual Fischoff National Chamber Music Competition. The quartet’s members, Paul Aguilar (violin), Rachel Stenzel (violin), Eva Kennedy (viola), and Hannah Moses (cello), are students at the Cleveland Institute of Music. See them perform at the DeBartolo Performing Arts Center on Sunday, October 28, at 2 p.m.